What is Art Basel? To put it in simple terms, Art Basel is the world’s biggest International art fair that takes place every year in our backyard. 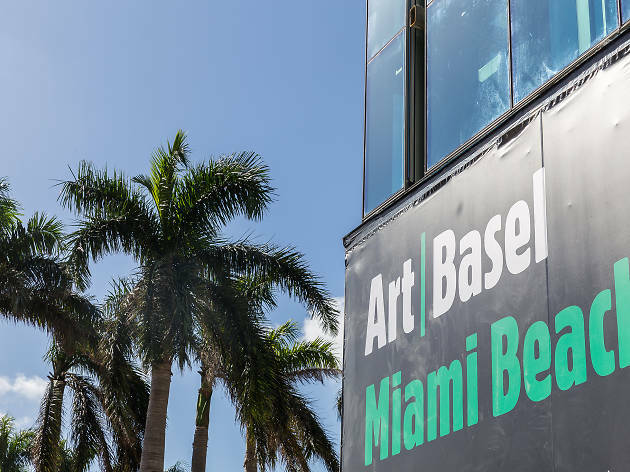 If you have not been to Art Basel, check out our newbie’s guide from 2016, tips for this year, and a complete guide of where to be this Art Basel. Bring a great day-tote to hold all the essentials. Bring a weekend survival pack with essentials like a portable smartphone charger, snacks, a light jacket, sunglasses, swimwear for that Basel pool party. Since 1970, creators, collectors, and dealers of contemporary art have congregated at Art Basel to spotlight artists and act as a “driving force in supporting the role galleries play in nurturing the careers of artists.” Art Basel is held once a year in three major cities around the world: Basel in Switzerland (hence the name), Miami Beach, and Hong Kong. Although you can expect to see art from top artists all around the world, Art Basel is also known for its events, parties, live performances, pop-up murals, classes and even concerts. Make it easy on yourself and avoid having to find parking by jumping on the train. Tri-Rail or Brightline to Miami then grab a Lyft to get around town. Tri-Rail runs from Miami to West Palm Beach. On weekdays, regular one-way fares are $2.50 to $6.90 for adults, depending on the route and on weekends they offer $5 All Day fares. Brightline runs from City Place in West Palm with a stop in Downtown Ft Lauderdale and downtown Miami. Brightline fare vary based on demand, as well as choice in cities, day, time, Service and Special Requests but you can save 25% by using code ‘GOSMART’ or purchase there 4-day Art Basel package December 6th – 9th here. Also, with exhibits in Wynwood, the Design District, Downtown, South Beach, and even Little River, a skateboard is always a great idea. 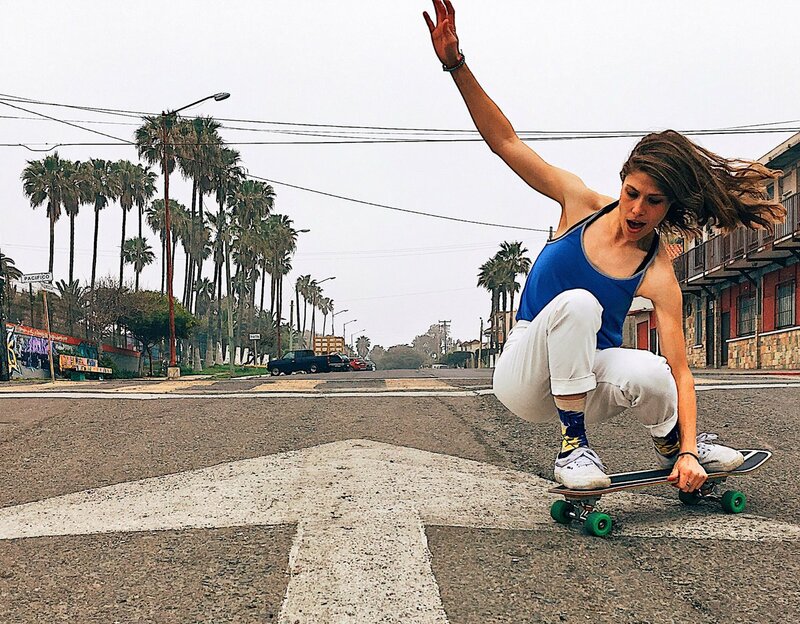 Stop in Island for a wide selection of street and cruiser boards. Step it up a notch, and show off some style with this incredible roller skates now in store at Island Water Sports from Impala. Art Basel Miami’s main event takes place at the Miami Beach Convention Center. Each year the convention center welcomes over 70,000 visitors and displays work from over 250 galleries from around the world. But expect to see pop up installments and galleries in locations from Wynwood to the design district to downtown Miami, Little Haiti and Little Havana. Art Miami, the original and longest-running contemporary art fair in the city, debuts a new downtown waterfront location, where it will showcase work from more than 125 international galleries. Design Miami celebrates the best in décor with exhibitions from top global galleries, collaborations with designers and renowned institutions. Aqua Art Miami (set within South Beach’s Aqua Hotel) highlights young, emerging and mid-career artists. Red Dot Miami, a gallery-style fair, will show off its own fresh digs at Mana Wynwood. The Faena Festival “This is Not America,” runs from December 3 through 9 with a robust lineup of site-specific installations, all free and open to the community in and around Forbes Travel Guide Five-Star Faena Hotel Miami Beach. Superchief Gallery is an independent artist-run space with permanent large scale warehouse galleries in New York, Los Angeles and Miami. Encompassing a broad scope of contemporary art, Superchief presents work in realms of Illustration, Painting, Sculpture, Performance, Installation, Animation, Photography & Digital Art. As a multidisciplinary and interdisciplinary platform, Superchief is an extension of the cultural landscape in its most raw and honest form. This year, they will be curating our VIP lounge, bringing a larger than life demon head installation at the heart of the fair, creating a one of a kind VIP experience as part of the SCOPE Miami Beach on Ocean Drive and 8th Street. Scope also presents two artists we love. 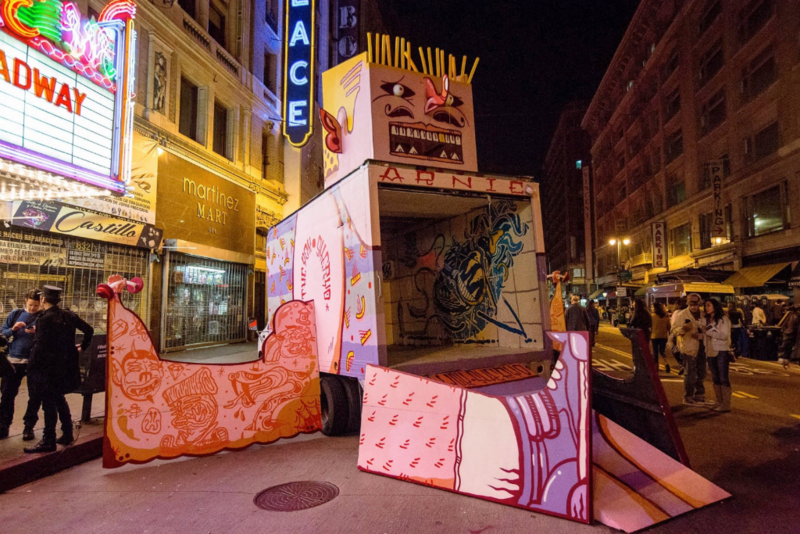 Matthew Grabelsky & Alex Yanes will hold a group show at Thinkspace. Alex Yanes, you are struck by how laid-back and approachable he is. Born in Miami, he decided to pursue art full-time in 2006. His art is influenced by his Cuban roots and an ever-growing curiosity about all the things Miami had to offer him during the 80’s and 90’s including skateboarding, tattoos, hip-hop and the rock culture of his teenage years. Check out more of his art at the Nike store in South Beach during Art Basel. Alex has worked with skate companies like Vans, Adidas, Red Bull, and he supports local foundations where he can help children and ultimately bolster their love of art. Check them both out at the Thinkspace location at SCOPE Miami Beach on Ocean Drive and 8th Street. 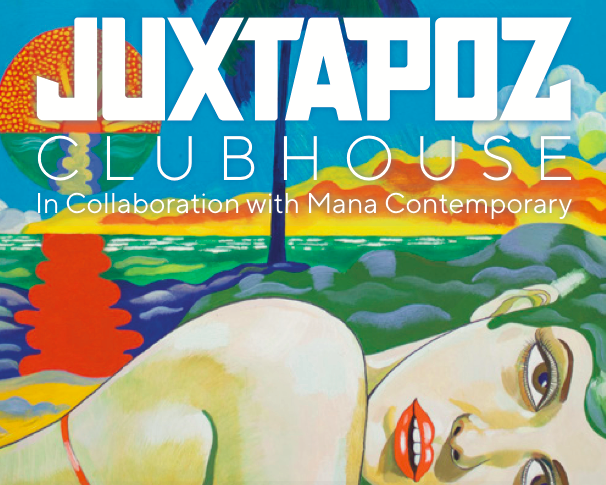 A must see that is always on our list is the Juxtapose Clubhouse. This pop-up created by Juxtapoz Magazine is taking over a whole section in downtown Miami. Organized in partnership with Mana Contemporary, the clubhouse will include seven curated storefronts and a variety of art installations. 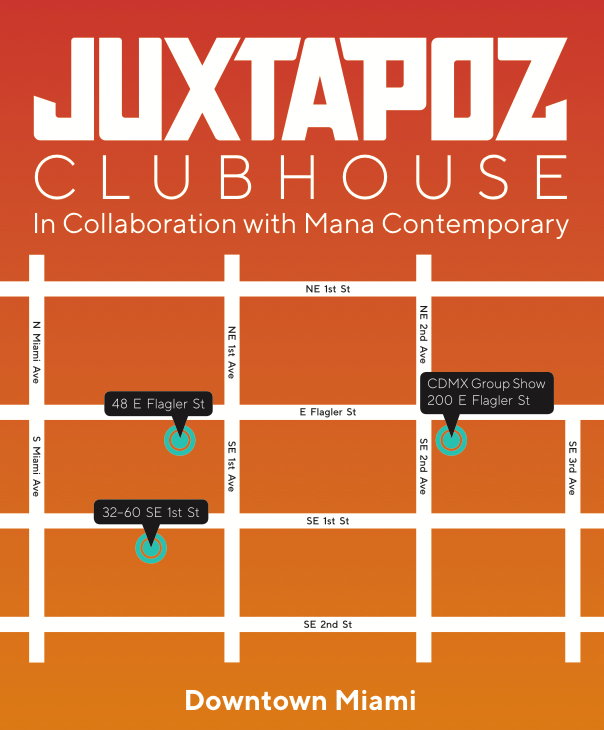 Juxtapoz Clubhouse will be located at 32- 60 SE 1st Street, 48 East Flagler and 200 E Flagler in downtown Miami from December 5th – 9th. Young at Art ArtCade at Art Miami. Downtown, Dec 5 at 11 AM – Dec 10 at 8 PM. Join Young At Art Museum at Art Miami 2018 and enter an immersive art space for fairgoer’s children ages 6-12 based on YAA’s upcoming exhibition ArtCade. Once inside kids will have the opportunity to create digital artwork through hands-on projects led by educators from the Young At Art Institute and experience interactive artworks by contemporary artists. ArtCade is open to all ages after 6pm. Miami’s skateshop Andrew has opened a pop-up in the design district just in time for Art Basel. Check this place out and skate with some of the local homies during a break from the craziness at Art Basel. Check out visionary artist Chris Dyer in Miami during Art Basel Miami Beach 2019. Chris Dyer is a Peruvian/Canadian artist who lives in Montreal, Quebec. Chris started skateboarding in 1986 and still does today. Around 2000 when he painting on broken skateboards he had ridden. His recycled skate paintings made him stand out in the Montreal art scene. Skate magazines started to notice and in 2004, landed a job doing skate graphics for Creation Skateboards. He was promoted to the position of Art Director and Brand Manager for Creation Skateboards and enjoyed that portion for several years. Now, Chris teaches and continues freelance for a number of different skate brands. To date he has created over 100 commercial skateboard graphics. Check out his recent installations like his “Skatebot Army” that was created from reclaimed old skateboards and see a solo exhibition of his work during Art Basel. The exhibit opens Thursday 6pm at 2545 Miami Avenue #3, Wynwood. The 6th Annual Basel House Mural Festival is the place to be during Art Basel Week where street art, eclectic music, innovative unique vendors, and new-age art installations from across the globe come together to create an unparalleled experience. Basel House sits in the center of Miami’s Wynwood Arts District. This FREE event will offer live painting, unique art installations, a vert ramp, live music, late-night DJs, mural tours, Saturday Night Art Battles, workshops, art & lifestyle vendor marketplace, cocktails, food trucks, and more. 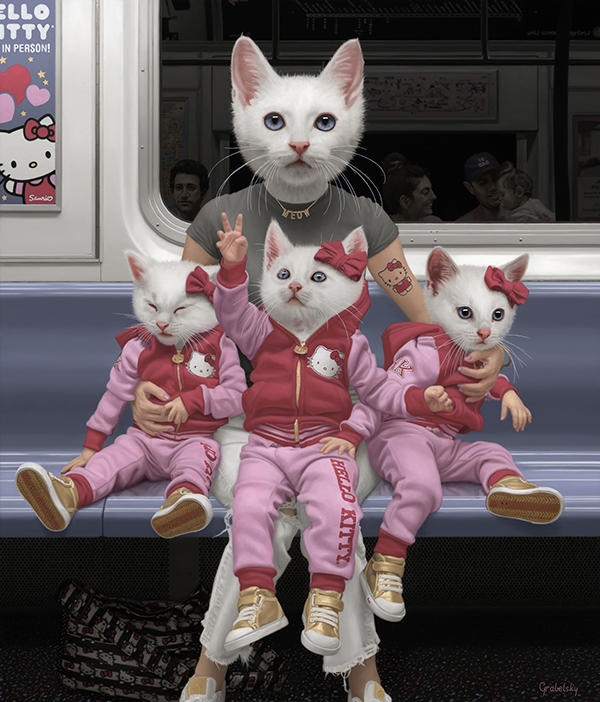 The Art Plug Power House exhibit opens on Wednesday, December 5th and will feature 32 contemporary artists from across the globe, including the likes of Aholsniffsglue, Ketnipz, C.B. Hoyo, and Black Tape Project’s Joel Alvarez. The Art Plug Power House will be “a playground for experimentation, mixing different mediums of art and culture.” and feature over 30 interactive works and installations designed to heighten the senses to a whole new degree. “We want people to let their sensory functions guide them through this fully immersive experience. We invite you to interact with and absorb everything you see, hear, taste, touch, and smell” – says Marcel Katz. In addition, Atlantic Records will utilize The Art Plug Power House’s main stage on Saturday afternoon to showcase their brightest up-and-coming roster of musical talent. The “Art of Banksy” is an 80-piece tribute to the British graffiti artist on display at Magic City Innovation Studios beginning December 1. With over 80 original works, this is the largest Banksy exhibit ever assembled. All pieces are on loan from private collected. Touted as the “Unauthorized” exhibit by curated by his former photographer Steve Lazarides, the exhibit site says,”This exhibition is not authorized by Banksy and not curated in collaboration with the artist.” Banksy also notes the same on his official website and jokingly shares a text with a fellow artist on his Instagram saying that he dos not charge to have people see his art, “unless there is a fairground wheel”. However, when you drive up to see a lighted up Ferris Wheel, it is hard to image that there might just be something else to the story after seeing his prank at the recent Sotheby’s Auction. Regardless, if you enjoy Banksy and want to know more about his life, this is a must see in Miami. The show will be in town through February 28th and is well worth the $35 ticket fee. To give back to the community, they have pledged to give 5,000 free tickets during the exhibit to organizations working with at-risk youth. For many, Art Basel is more about the parties than the art. Art Basil has become one of the hottest weeks for both music and fashion in Miami. Even magazines like Vanity Fair host an annual event, often at the famed Raleigh Hotel. And, in years past, many have seen the likes of Marc Jacobs, Leonardo DiCaprio and even the Olsen twins around town. Below is a complete list of all the after-hours events we have heard of with a few of our favorites highlighted for you. Danny Krivit and Richard Vasquez with Brenmar. 11 p.m. Tuesday, December 4, at Basement, 2901 Collins Ave., Miami Beach; 786-257-4600; basementmiami.com. Tickets cost $20 for men; free for women. Favela Beach Basel Edition. Hosted by Mr. Brainwash. With Art Department, Salome, and Gad. 11 p.m. Tuesday, December 4, at Wall Lounge, 2201 Collins Ave., Miami Beach; 305-938-3130; wallmiami.com. Tickets cost $60 via tableist.com. Die Antwoord. 10 p.m. Wednesday, December 5, at Soho Studios, 2136 NW First Ave., Miami; 305-600-4785; sohostudiosmiami.com. Tickets cost $40 via wl.seetickets.us/blnkcnvs. Felix Da Housecat. 10 p.m. Wednesday, December 5, at Do Not Sit On the Furniture, 423 16th St., Miami Beach; 510-551-5067; donotsit.com. Tickets cost $15 to $25 via residentadvisor.net. Guy Gerber and Behrouz. With Chicco Secci. 11 p.m. Wednesday, December 5, at Wall Lounge, 2201 Collins Ave., Miami Beach; 305-938-3130; wallmiami.com. Tickets cost $60 via tableist.com. Julie Byrne. With Vagabon and Trayer. 10 p.m. Wednesday, December 5, at Floyd, 34 NE 11th St., Miami; 786-618-9447; floydmiami.com. Tickets TBA. Made in Miami. With Oscar G, Jesse Perez, and Lazaro Casanova. 11 p.m. Wednesday, December 5, at Treehouse, 323 23rd St., Miami Beach; 305-240-9232; treehousemiami.com. Tickets cost $10 via residentadvisor.net. Masquerade Miami. With Claptone and Lee Foss. 11 p.m. Wednesday, December 5, at Space, 34 NE 11th St., Miami; 786-357-6465; clubspace.com. Tickets cost $10 to $40 via ticketfly.com. Robert Glasper with Chris Dave, Derrick Hodge, and DJ Jahi Sundance. 9 p.m. Wednesday, December 5, at 1-800-Lucky, 143 NW 23rd St., Miami; 305-768-9826; 1800lucky.com. Tickets cost $30 via eventbrite.com. Seth Troxler All Night Long. 11 p.m. Wednesday, December 5, at Basement, 2901 Collins Ave., Miami Beach; 786-257-4600; basementmiami.com. Tickets cost $20 for men; free for women. Boom Basel, with Flying Lotus and Virgil Abloh. III Points and the Fader have teamed up to deliver experimental producer and electronic musician Flying Lotus — along with Louis Vuitton creative director and DJ Virgil Abloh — to the RC Cola Plant in Wynwood. Last year, III Points put on an amazing if controversially received Björk DJ set during Basel, so anticipate an equally memorable night with Flying Lotus. 10 p.m. Thursday, December 6, at RC Cola Plant, 550 NW 24th St., Miami. Tickets cost $25 to $30 via showclix.com. Action Bronson. 10 p.m. Thursday, December 6, at Soho Studios, 2136 NW First Ave., Miami; 305-600-4785; sohostudiosmiami.com. Tickets cost $25 via wl.seetickets.us/blnkcnvs. Birds of Mind. With Apache, Enzo Gd, and more. 8 p.m. Thursday, December 6, at the former Macy’s Downtown, 1 SW First St., Miami. Tickets cost $20 to $30 via residentadvisor.net. Turbo 20th-anniversary party, with Tiga and Due Diligence. Any dance-music fan from the early ’00s will be familiar with Turbo Recordings, the Montreal label founded by Tiga in 1998. To celebrate Turbo’s two decades, Tiga is touring North America and providing plenty of dance-floor throwbacks. The bash arrives at the Delano’s Florida Room during peak Basel. To get yourself ready, check out Tiga’s curated 20-year playlist featuring notable Turbo artists such as Duke Dumont, ZZT, and Chromeo. 11 p.m. Thursday, December 6, at Florida Room, 1685 Collins Ave., Miami. Admission is free with RSVP via tixr.com. Serán Bendecidos, with Loco Dice, Guti, wAFF, and others. Expect to be #blessed when Tunisian DJ Loco Dice brings his Serán Bendecidos series to town. The party is to take place at the new Wynwood Factory, an event space that debuted over Halloween weekend when it hosted Hallowarehouse. The fun will likely run well into the early morning, so be sure you have an excuse to get out of work Friday. 10 p.m. Thursday, December 6, at Wynwood Factory, 55 NE 24th St., Miami; wynwoodfactory.com. Tickets cost $30 to $40 via electrostub.com. Claude VonStroke. With Prok & Fitch, dOP, Nick Monaco, and others. 3 p.m. Thursday, December 6, at Delano Beach Club, 1685 Collins Ave., 305-672-2000; morganshotelgroup.com. Tickets cost $20 to $30 via tixr.com. Elrow Miami Presents El Triángulo de las Rowmudas. 11 p.m. Thursday, December 6, at Story Nightclub, 136 Collins Ave., Miami Beach; 305-479-4426; storymiami.com. Tickets cost $50 via tixr.com. Erick Morillo. With Vanjee. 11 p.m. Thursday, December 6, at Wall Lounge, 2201 Collins Ave., Miami Beach; 305-938-3130; wallmiami.com. Tickets cost $60 via tableist.com. G-Eazy. 10 p.m. Thursday, December 6, at E11even, 29 NE 11th St., Miami; 305-829-2911; 11miami.com. Tickets cost $30 for women and $50 for men via tixr.com. Happy Camper Showcase. With Britta Unders, Rico Loop, KMLN, and others. 11 p.m. Thursday, December 6, at Basement, 2901 Collins Ave., Miami Beach; 786-257-4600; basementmiami.com. Tickets cost $20 for men; free for women. Ion Ludwig. 10 p.m. Thursday, December 6, at Electric Pickle, 2826 N. Miami Ave., Miami; 305-456-5613; electricpicklemiami.com. Tickets cost $20 to $30 via residentadvisor.net. Octopus Recordings Warehouse Series. With Sian, Drumcell, Juheun, Michelle Sparks, and more. 10 p.m. Thursday, December 6, at SQL Miami, 30 NE 14th St., Miami; 786-600-5151; sqlmiami.com. Tickets cost $25 to $30 via residentadvisor.net. Repopulate Mars Basel Edition. With Lee Foss, Nathan Barato, Secondcity, Natalia Roth, and others 10 p.m. Thursday, December 6, at Wynwood 5th Ave, 2541 NW Fifth Ave., Miami; 305-299-5004; wynwood5thave.com. Admission is free before midnight; tickets cost $20 via eventbrite.com. Richie Hawtin. With Chris Liebing and Nastia. 11 p.m. Thursday, December 6, at Space, 34 NE 11th St., Miami; 786-357-6465; clubspace.com. Tickets cost $24 to $50 via ticketfly.com. Sabo and Goldcap. 10 p.m. Thursday, December 6, at Do Not Sit On the Furniture, 423 16th St., Miami Beach; 510-551-5067; donotsit.com. Tickets cost $30 to $40 via residentadvisor.net. Serán Bendecidos. With Loco Dice, Guti, wAFF, and others. 10 p.m. Thursday, December 6, at Wynwood Factory, 55 NE 24th St., Miami; wynwoodfactory.com. Tickets cost $30 to $40 via electrostub.com. Zedd. 11 p.m. Thursday, December 6, at LIV, 4441 Collins Ave., Miami Beach; 305-674-4680; livnightclub.com. Tickets cost $45 via tixr.com. Let There Be Reggae runs two nights, Thursday, December 6th and Friday, December 7th from 6:00 pm to 10:00 pm both nights at The Lab Miami 400 NW 26th Street, Miami, FL 33127 in the Wynwood Art District. The Opening Reception on Thursday, December 6th is featuring VP Recording artist Christopher Martin, legendary sound selector of Renaissance Disco – DJ Delano and Miami’s Eccentrix Sound.There is a $25 entry fee for the Opening Reception. Tickets will be available at the door and online. Hot Ticket: Republic Records party at the Surf Lodge. Every year, the Montauk, New York, hot spot the Surf Lodge travels to Miami Beach and takes over a local hotel to throw nonstop VIP parties throughout the week. The Confidante was tapped as the Surf Lodge’s headquarters this year, and on Friday, December 7, Republic Records will be taking over with a surprise performance. Drake, Nicki Minaj, Ariana Grande, Lorde, and Post Malone are all signed to Republic, so the surprise could be a big one. Friday, December 7, at the Confidante, 4041 Collins Ave., Miami Beach; 305-424-1234; hyatt.com. By invitation only. Basel Schmasel. With Jacuzzi Boys and Reels. 9 p.m. Friday, December 7, at Las Rosas, 2898 NW Seventh Ave., Miami; 786-780-2700; lasrosasbar.com. Admission is free. Behrouz and Friends. 10 p.m. Friday, December 7, at Do Not Sit On the Furniture, 423 16th St., Miami Beach; 510-551-5067; donotsit.com. Tickets cost $30 to $40 via residentadvisor.net. Black Coffee. 11 p.m. Friday, December 7, at Story Nightclub, 136 Collins Ave., Miami Beach; 305-479-4426; storymiami.com. Tickets cost $60 via tixr.com. Citric Acid. With Derrick Carter, DJ Sneak, Carl Craig, Guti, and others. 10 p.m. Friday, December 7, at Lemon City Studios, 261 NE 73rd St., Miami; lemoncitystudios.co. Tickets cost $30 to $70 via ticketfly.com. Crew Love. With Wolf & Lamb, Lonely C (Soul Clap), Nick Monaco, Eli Escobar, and Lloydski. 9 p.m. Friday, December 7, at Electric Pickle SsingSsing. The Rhythm Foundation might be the only local promoter still getting in the spirit of Basels past by booking a quirky, nontraditional act. SsingSsing blends rock with traditional Korean folk and tops it all off with gender-bending looks. If you need a primer on the band’s sound, check out SsingSsing’s appearance on NPR’s Tiny Desk Concerts. 8 p.m. Friday, December 7, at Emerson Dorsch, 5900 NW Second Ave., Miami; 305-576-1278;emersondorsch.com. Admission is free with RSVP viarhythmfoundation.com., 2826 N. Miami Ave., Miami; 305-456-5613; electricpicklemiami.com. Tickets cost $30 via residentadvisor.net. Gramps Seventh-Anniversary Party. 7 p.m. Friday, December 7, at Gramps, 176 NW 24th St., Miami; 305-699-2669; gramps.com. Admission is free. Juice Wrld. 10 p.m. Friday, December 7, at Soho Studios, 2136 NW First Ave., Miami; 305-600-4785; sohostudiosmiami.com. Tickets cost $35 via wl.seetickets.us/blnkcnvs. Marco Carola. 11 p.m. Friday, December 7, at Space, 34 NE 11th St., Miami; 786-357-6465; clubspace.com. Tickets cost $20 to $50 via ticketfly.com. Ninja Tune. 10 p.m. Friday, December 7, at the Ground, 34 NE 11th St., Miami; 305-375-0001; thegroundmiami.com. Tickets cost $25 to $45 via ticketfly.com. Paris Hilton. 11 p.m. Friday, December 7, at Wall Lounge, 2201 Collins Ave., Miami Beach; 305-938-3130; wallmiami.com. Tickets cost $60 via tableist.com. Rumors Art Basel. With Guy Gerber, Lauren Lane, and Kaz James. 3 p.m. Friday, December 7, at Delano Beach Club, 1685 Collins Ave., 305-672-2000; morganshotelgroup.com. Tickets cost $25 to $45 via tixr.com. Sainte Vie, Coss, and Mateo. 11 p.m. Friday, December 7, at Basement, 2901 Collins Ave., Miami Beach; 786-257-4600; basementmiami.com. Tickets cost $20 for men; free for women. Sci+Tec Art Basel. With Dubfire and Art Department. 10 p.m. Friday, December 7, at Wynwood 5th Ave, 2541 NW Fifth Ave., Miami; 305-299-5004; wynwood5thave.com. Tickets cost $30 to $40 via eventbrite.com. Studio Barnhus Art Basel. With Axel Boman and Kornél Kovács. 11 p.m. Friday, December 7, at Floyd, 34 NE 11th St., Miami; 786-618-9447; floydmiami.com Tickets cost $10 to $15 via ticketfly.com. tINI and Robin Ordell. 10 p.m. Friday, December 7, at Treehouse, 323 23rd St., Miami Beach; 305-240-9232; treehousemiami.com. Tickets cost $25 to 30 via residentadvisor.net. Art Basel Distraction with Derrick Baseck, Plastic Ivy, Poncili Creacion, Slack, and others. 10 p.m. Saturday, December 8, at Mana Contemporary Miami, 145 E. Flagler St., Miami; 305-573-0371; manacontemporarymiami.com. Admission is free. Boys Noize and Friends. Because the number of free parties during Miami Art Week is seemingly on the decline, it’s refreshing to see German DJ/producer Boys Noize return to 1-800-Lucky to spin for the masses — and all you have to do is RSVP. On any given night, 1-800-Lucky is beyond packed, so arrive early or you’ll be forced to listen to Alex Ridha’s set from the street. 11 p.m. Saturday, December 8, at 1-800-Lucky, 143 NW 23rd St., Miami; 305-768-9826;1800lucky.com. Admission is free with RSVP atboysnoizefriends.splashthat.com. BaselFactory. With Art Department, Jozef, Stacey Pullen, Lee Curtis, wAFF, and others. 10 p.m. Saturday, December 8, at Wynwood Factory, 55 NE 24th St., Miami; wynwoodfactory.com. Tickets cost $20 to $30 via electrostub.com. Fool’s Gold Day Off, with A-Trak B2B Mannie Fresh, Valee, Jubilee, and others. It’s been a minute since Fool’s Gold Records brought its Day Off to Miami. The last time was in 2015, before moving to Fort Lauderdale the following year and then disappearing altogether. The wait will finally be over when the label takes over the lot behind Coyo Taco, with Fool’s Gold founder A-Trak leading the way. 9 p.m. Saturday, December 8, at Coyo Taco, 2300 NW Second Ave., Miami; 305-573-8228; coyo-taco.com. Tickets cost $10 to $15 via eventbrite.com. Bedouin and Guy Laliberté. 11 p.m. Saturday, December 8, at Basement, 2901 Collins Ave., Miami Beach; 786-257-4600; basementmiami.com. Tickets cost $20 for men; free for women. Bob Moses and Lee Burridge. With Bedouin, Thugfuckers, No Regular Play, and Ella Romand. 3 p.m. Saturday, December 8, at Delano Beach Club, 1685 Collins Ave., 305-672-2000; morganshotelgroup.com. Tickets cost $25 to $35 via tixr.com. Boys Noize and Friends. 11 p.m. Saturday, December 8, at 1-800-Lucky, 143 NW 23rd St., Miami; 305-768-9826; 1800lucky.com. Admission is free with RSVP at boysnoizefriends.splashthat.com. Calvin Harris. 11 p.m. Saturday, December 8, at LIV, 4441 Collins Ave., Miami Beach; 305-674-4680; livnightclub.com. Tickets cost $200 via tixr.com. Holmar, YokoO, and KMLN. 10 p.m. Saturday, December 8, at Do Not Sit On the Furniture, 423 16th St., Miami Beach; 510-551-5067; donotsit.com. Tickets cost $20 to $40 via residentadvisor.net. Kaskade. With J Worra and Lokii. 10 p.m. Saturday, December 8, at Soho Studios, 2136 NW First Ave., Miami; 305-600-4785; sohostudiosmiami.com. Tickets cost $35 via wl.seetickets.us/blnkcnvs. Lil Wayne. 11 p.m. Saturday, December 8, at Story Nightclub, 136 Collins Ave., Miami Beach; 305-479-4426; storymiami.com. Tickets cost $40 via tixr.com. Mister Saturday Night. With Justin Carter and Eamon Harkin. 10 p.m. Saturday, December 8, at Electric Pickle, 2826 N. Miami Ave., Miami; 305-456-5613; electricpicklemiami.com. Tickets cost $10 to $15 via residentadvisor.net. Nic Fanciulli and Rony Spikily. With Chicco Secci. 10 p.m. Saturday, December 8, at Wall Lounge, 2201 Collins Ave., Miami Beach; 305-938-3130; wallmiami.com. Tickets cost $60 via tableist.com. Pictureplane. With Nick Leon, Andean Shrine, and Orphyte. 9 p.m. Saturday, December 8, at 229, 229 NE 65th St., Miami. Tickets cost $12 via eventbrite.com. Rakastella. With Apparat, Red Axes, Trikk, DJ Harvey, DJ Tennis, and others. 3 p.m. Saturday, December 8, at the Historic Virginia Key Beach Park, 4020 Virginia Beach Dr., Miami; 305-960-4600; virginiakeybeachpark.net. Tickets cost $90 to $150 via eventbrite.com. Rawthentic Basel Edition. With Carlo Lio, Caleb Calloway, and Junior Sanchez. 10 p.m. Saturday, December 8, at Wynwood 5th Ave, 2541 NW Fifth Ave., Miami; 305-299-5004; wynwood5thave.com. Tickets cost $30 to $40 via eventbrite.com. Admission free before 1 a.m.
Solumun All Night Long. 11 p.m. Saturday, December 8, at Space, 34 NE 11th St., Miami; 786-357-6465; clubspace.com. Tickets are sold out. Questlove (DJ set). 10 p.m. Saturday, December 8, at the Anderson, 709 NE 79th St., Miami; 305-757-3368; theandersonmiami.com. Admission is free with RSVP via eventbrite.com. Zhu. 10 p.m. Saturday, December 8, at RC Cola Plant, 550 NW 24th St., Miami. Tickets cost $40 to $45 via showclix.com. Rakastella, with Apparat, Red Axes, Trikk, DJ Harvey, DJ Tennis, and others. Want to get as far away from the crowds as possible but don’t want to leave Miami? Innervisions and Life & Death will hold their Rakastella event once again on Virginia Key (yes, the future home of Ultra Music Festival). With three stages and the promise of “immersive sensory experiences,” the party starts Saturday afternoon and goes until 7 a.m. Sunday. You won’t miss the art. 3 p.m. Saturday, December 8, in Virginia Key Beach Park, 4020 Virginia Beach Dr., Miami; 305-960-4600; virginiakeybeachpark.net. Tickets cost $90 to $150 via eventbrite.com. Questlove (DJ set). Beloved by locals and tucked in an area of town still unknown to most tourists, the Anderson will probably act as a refuge for Miamians looking to party but not necessarily be in the thick of Basel. The 79th Street bar will thank its loyal patrons via a DJ set by Roots frontman Questlove. Best of all: It’s free. 10 p.m. Saturday, December 8, at the Anderson, 709 NE 79th St., Miami; 305-757-3368; theandersonmiami.com. Admission is free with RSVP via eventbrite.com. Carnage. 10 p.m. Sunday, December 9, at E11even, 29 NE 11th St., Miami; 305-829-2911; 11miami.com. Tickets cost $20 for women and $40 for men via tixr.com. DJ Khaled.11 p.m. Sunday, December 9, at LIV, 4441 Collins Ave., Miami Beach; 305-674-4680; livnightclub.com. Gianluca Vacch. 3 p.m. Sunday, December 9, at Delano Beach Club, 1685 Collins Ave., 305-672-2000; morganshotelgroup.com. Tickets cost $20 to $30 via tixr.com.